I was in college playing football when I developed a “slipped disc.” In my case it came on gradually over a few years. The pain was so intense that I couldn’t walk, sit or stand without severe pain and after considering surgery, I decided against it. A friend of mine convinced me to give a chiropractor a try. It worked so well that I decided to become a chiropractor myself. Instill in my patients the importance of maintaining their correction and overall health. Chiropractic was never meant to be practiced as anything less than lifetime care because, especially in this day and age, every person has physical and mental stresses and strains every day that can, and usually do, manifest physically. But not all chiropractors are the same! We’ve helped many Paget-area residents who went from chiropractor to chiropractor and finally found results in our office. Call today! Very impressed with the commitment to the patients and the overall professionalism that is demonstrated time and time again! Dr Bernus and his team is very pleasant and understand . I was in pain daily and since I have seen Dr Bernius (Chiropractic) I’m doing a lot better! Very informative when explaining what my problem was and I was given a very detailed and yet easy to follow recovery plan. 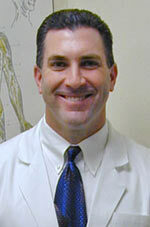 Dr Bernius (Chiropractor) is excellent and I’m so glad I am now pain free thanks to his expertise. Perfect customer service and there is nothing I would change! While in desperate search for pain relief, I was able to get a timely appointment and after 3 or 4 visits was feeling back to my old self. The staff, Karen and Mia are very proficient and nice. Thanks Bernius Chiropractic team.